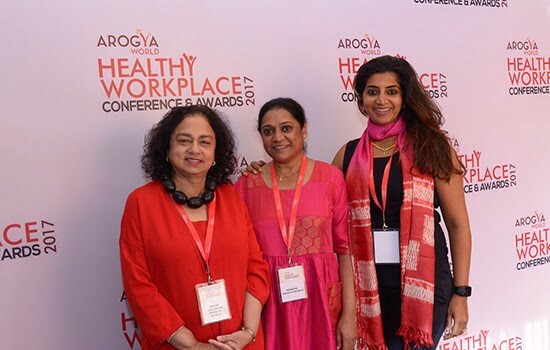 Eight years ago, when I was 52, finding myself restless and underutilized in corporate America, I decided — with encouragement from my friend Pamela Yih and husband Ravi — to quit my job at Merck and start Arogya World. It’s the best decision I have made in my life. I wanted to work with like-minded people and like-minded organizations to make a meaningful contribution to global health by tackling one of this century’s greatest health and development challenges, non-communicable diseases (NCDs), and promoting prevention through healthy living. I really wanted to SEE the difference that I as an individual, with my science background and global work experience, could make in the world. Today as I turn 60, I am energized. I genuinely can’t wait to get out of bed every morning to start work and see what the day has in store for us. I am energized by the fact that we are educating more than 100,000 middle school children all over India about diabetes awareness and prevention with remarkable partners like Hriday, Agastya, and Ashoka, and persuading 11- to 14-year-olds to make healthy lifestyle choices. I am proud that 102 progressive companies in India with more than 2.3 million employees — including Indian Railways, Infosys and Johnson & Johnson — have joined us as Healthy Workplaces. We are shaping the culture of these companies to become more data-driven and to use data to inform better programs for employee health. 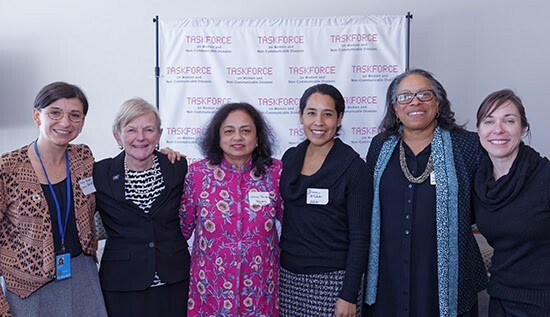 I am struck by the perspectives we gained from our global 10,000 women’s study, the largest study of its kind on the impact NCDs have on women and their families in 10 countries including the U.S. and India. It showed, for instance, that globally half the women surveyed provided care for someone in their home with an NCD, and 20% had to quit their jobs to do so. 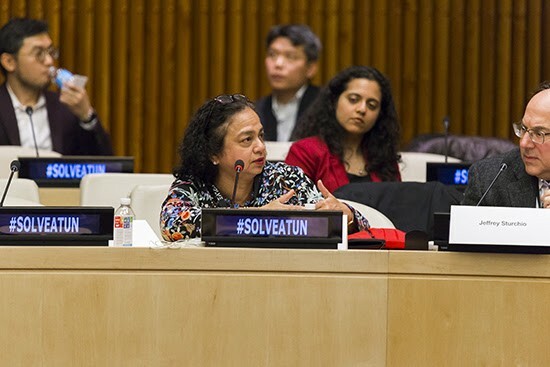 NCDs impact women uniquely as patients, mothers and caregivers, and we are using these findings to advocate for a women-centered lens to NCD prevention at the United Nations and on the world stage. 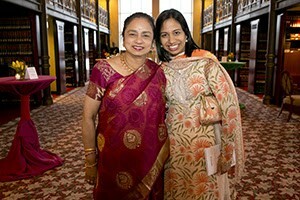 I believe in the power of women to steer their families toward healthy living. Our MyThali program helps women learn what they and their families should eat and in what quantities at each meal. We are so pleased the roll-out of this program is currently progressing at a steady clip in scores of companies in India. I am a big champion of mobile technology. 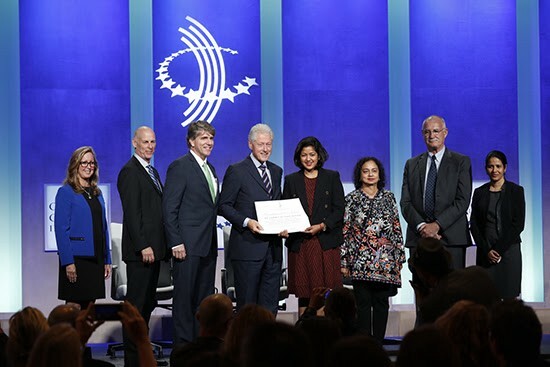 With mDiabetes, our text message program, we made and completed a bold Clinton Global Initiative Commitment to educate 1 million Indians on diabetes prevention, working with Nokia and Emory. We showed significant behavior change impact, and are now entering a new phase of expansion in South India with exceptional partners like Aravind Eye Hospitals. I am determined to motivate working Indians to progress on their health journey and look forward to how our mobile app myArogya, funded initially by the Cigna Foundation and now entering a new collaboration with Goqii, can help. 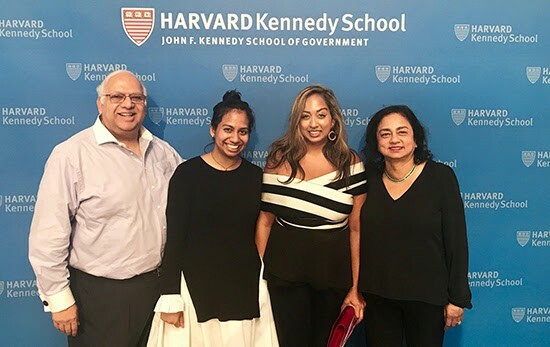 I am also energized by the promise of what we could deliver in the U.S., with our U.S. Health Communities program just now starting in Chicago, that could contribute to the evidence base of what could help South Asians make behavior change. We are leveraging our innovative programs to tackle NCDs. We have shown that our large, sweeping, population-level programs are effective: our schools program has shown 14% impact, mDiabetes more than 15%. Today I am impatient, and restless, to get on with the exciting work of scaling up our exceptional programs and seeing how much more of an impact we can make. With our doorstep health model (to use the term coined by colleagues at Ashoka), we take prevention to where people live and learn and work. I believe we have a viable solution to the NCD crisis, and a promising way to help advance the health of a nation. My family says that I am happiest when I am in Arogya World. That is true, because I get to work with committed and passionate colleagues in India and the U.S. — and with dedicated board members (who work pro bono and give so much to Arogya World). The entire Arogya family is rowing the boat in the same direction, all helping this small but mighty organization, as someone once called us, punch above its weight. We are fortunate. 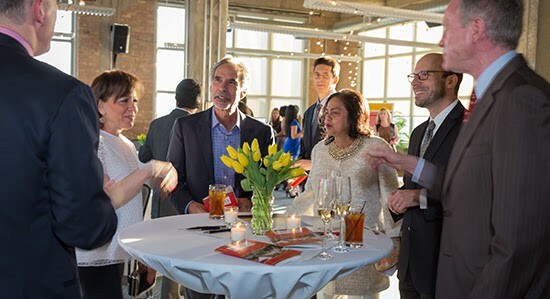 We enjoy year-upon-year support from several corporations and foundations including Cigna, Novartis, Johnson & Johnson, Aetna, Merck, The Hans Foundation, and in Chicago from Quinnox, Aon, Mesirow, Hartford Funs, AMG Corporation, and the Simran Foundation. We also have generous individual donors who support our Chicago gala every year. Your support and continued faith in us is uplifting. Quite simply, thank you. On my birthday, it is my wish that we continue to work together to make the world a healthier place and leave the world better than we found it. I want us to do our best to ensure NCDs are less of a threat for my daughters and their generation, and for their sons and daughters. I see health as their right — and ensuring their healthy future as my generation’s responsibility.